Grow longer lashes and thicker eyebrows with Kate Blanc Cosmetics USDA Certified Organic Castor Oil. Castor oil nourishes skin and promotes healthy hair growth as well. 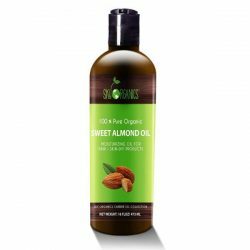 It has great moisturizing abilities due to the essential fatty acids that it contains. Know more benefits of natural hair care products with castor oil. Castor oil is a unique source of high amounts of ricinoleic acid. This substance provides therapeutic effects such as antibacterial and anti-inflammatory properties. 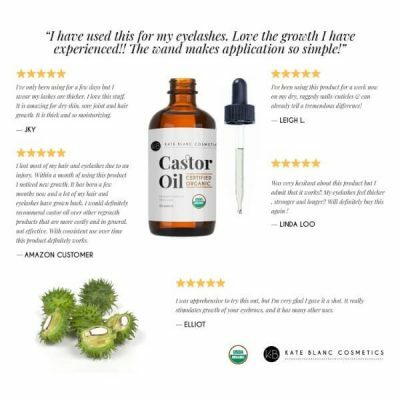 This is why castor oil works well in soothing and preventing acne. It soothes irritated and itchy skin as well. 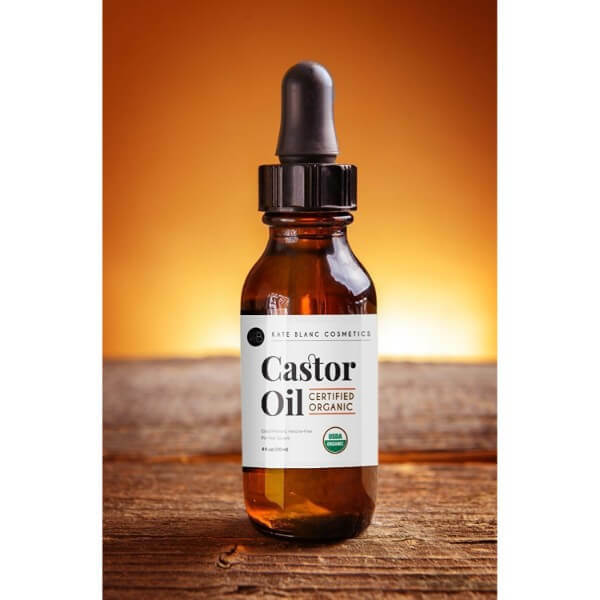 Get smoother skin and fade signs of aging easily with castor oil. 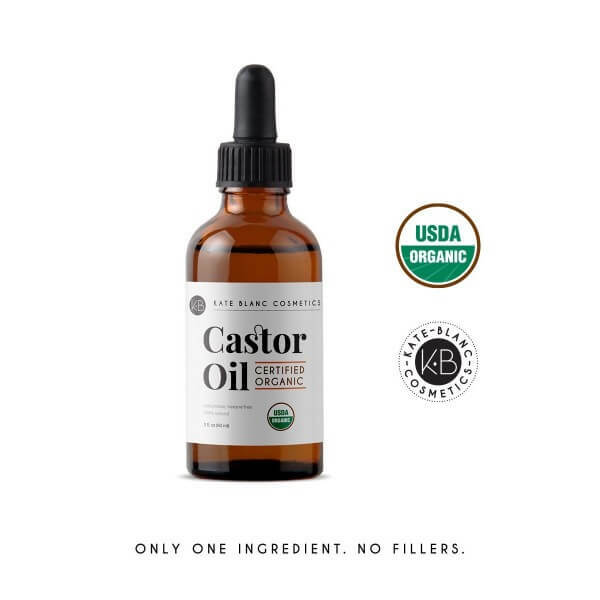 Kate Blanc Cosmetics castor oil prevents dryness of skin. 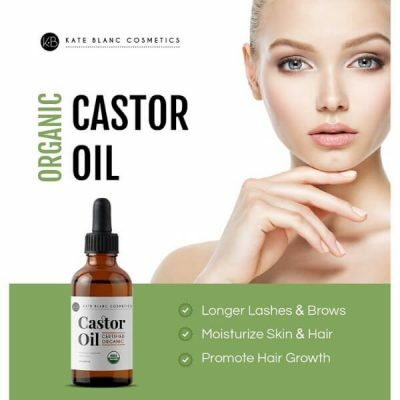 Repair damaged hair with pure organic castor oil. Nourish and strengthen hair to protect it from brittleness and breakage. Treat dry scalp and dandruff by using this moisturizing castor oil. 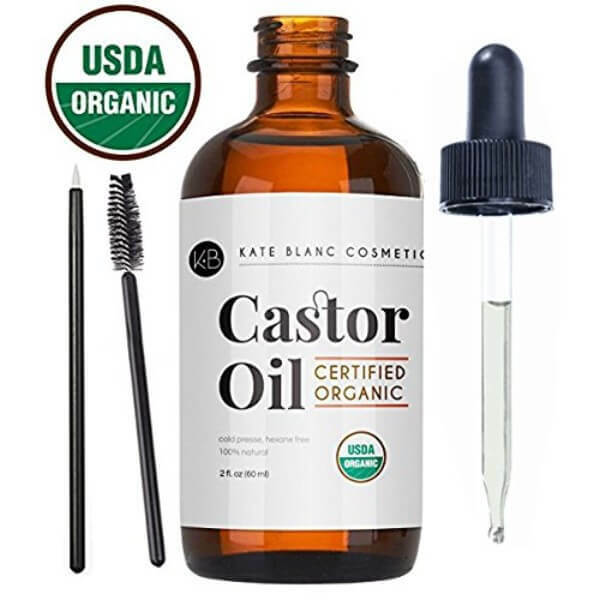 Kate Blanc Cosmetics USDA certified organic castor oil helps restore the health of hair while promoting its stronger growth. Hair loss is a common issue that castor oil can help reduce. Its anti-inflammatory effects target the root of the issue. It is a natural solution to hair loss. Apply it to scalp to keep hair thick, full-bodied, and lustrous. 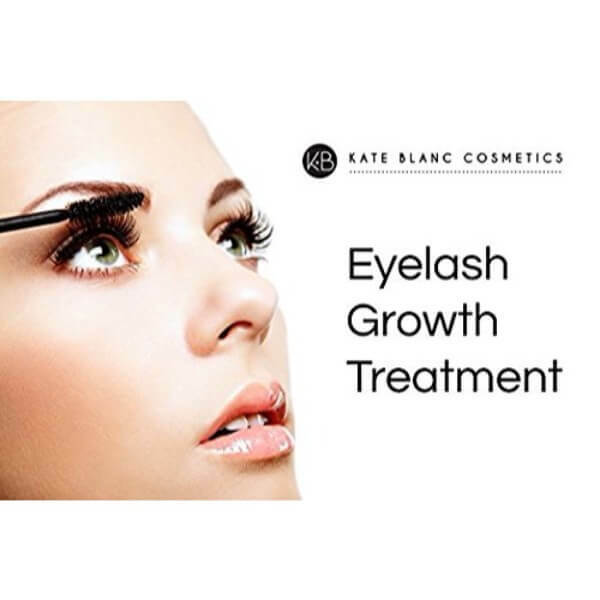 Use it to get longer lashes that frame eyes well. It works as an eyebrow serum that gives it a thicker and fuller appearance. Use every night to get noticeable results in a few weeks. The versatility of castor oil makes it perfect for nourishing nails too. The product comes with a glass dropper, mascara wand and eyelash applicator. Get smooth skin and thick hair with one product. Long lashes and bold brows are possible with a few drops of organic castor oil. 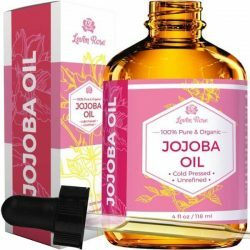 Experience the benefits of using this nourishing oil. Get a bottle before stocks run out! Made from 100% pure cold-pressed castor oil. Treats dry scalp and dandruff. 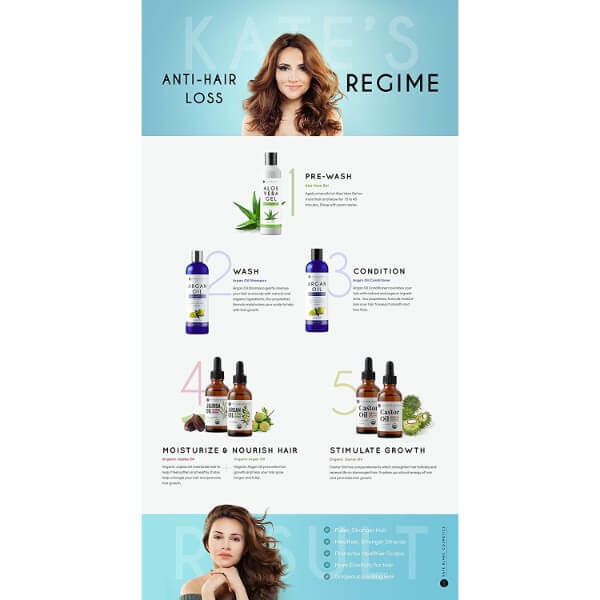 Reduces hair loss and thinning hair. Protects hair from damage and brittleness. 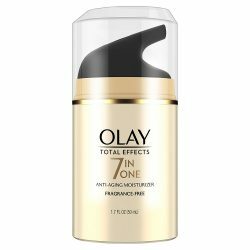 Reduces appearance of blemishes and signs of aging. Makes eyelashes longer and brows bolder. Moisturizes skin and hair well. Use enough amount of castor oil and apply to affected areas. Use regularly to reduce the appearance of blemishes, scars, and signs of aging. Mix with other skin care products to provide extra moisturizing powers. After shower, use enough castor and apply to damp hair. Start from the midlengths to the tips of hair. To use as treatment for dandruff, apply castor oil directly to scalp and rinse with favorite shampoo. Use the mascara wand and dip into the bottle. 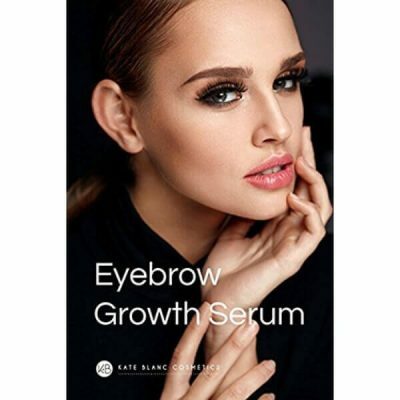 Remove excess oil and apply to eyebrows starting from the inside going outwards. Follow the direction of hair growth. Use the eyelash applicator and dip into the bottle. Remove excess oil and apply to eyelids starting from the inner area going outwards. Repeat on the bottom eyelids. Use the mascara wand to apply to eyelashes.